"With the exception of the first five minutes," The Brown and White said, "Lehigh played indifferent football. At times the Brown and White showed flashes of form, but for the most part they lacked the dash and drive which characterizes the opening minutes of the game. The aerial attack which gained so much ground last week was poor, and it was not until the latter part of the third quarter that Lehigh completer her first successful forward pass." This quote, taken from the 1923 student newspaper detailing the first-ever official football meeting between Lehigh and Fordham, won't be something that's repeated in the student newspaer in their recap this weekend. In fact, the fifteen points scored in that 1923 game, a 9-6 Lehigh win, might very well be outdistanced in the first five minutes of the game this weekend., and it's a guarantee that Fordham and Lehigh will be completing their first passes well before the 3rd quarter. 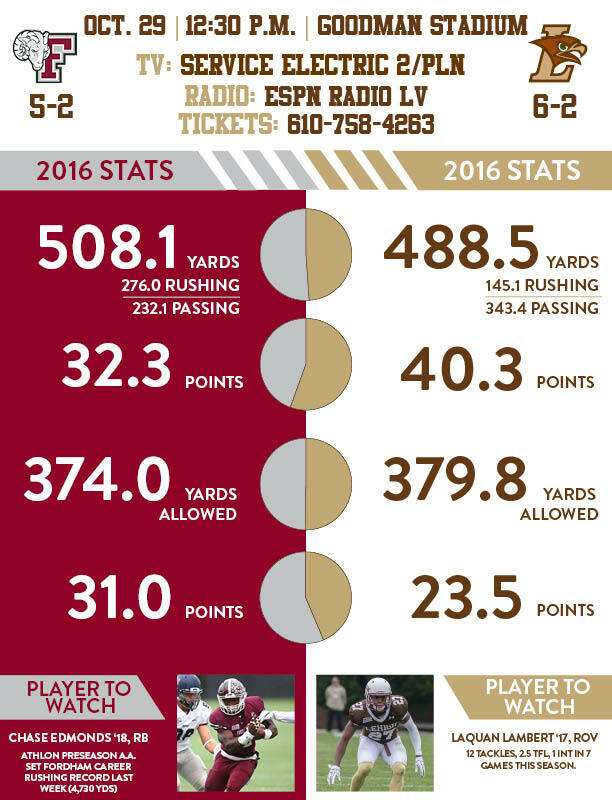 If Lehigh and Fordham meet their season averages for total offensive yards, there's a chance that both teams' offenses combined might exceed 1,000 yards, while Fordham averages 32.3 points per game, and Lehigh 40.3. Even if this game didn't loom enormously in the Patriot League title chase - which, of course it does - this would be a terrific game to watch in terms of offense. Though he's now the offensive coordinator at resurgent Penn State, former head coach Joe Moorhead's fingerprints are all over the Rams' scary offensive system. But Moorhead's successor, Andrew Breiner, was the architect of this Fordham football team, making it easy to see how little a transition period was necessary to go from "Andrew Breiner, QB coach and offensive coordinator" to "Andrew Breiner, head football coach at Fordham". Breiner, at age 32 one of the youngest head football coaches in Division I, hasn't missed a beat taking over for Moorhead. “To not be putting a gameplan together and for him not to be there is a little bit strange," Breiner told The New York Post going into this season. "Coming to work and Joe not being here was strange at first, but as time goes on and you get busy, issues arise. At a certain point you stop thinking about it. Joe’s not here, he’s at State College, and it’s time to do our own work." One thing that has not changed is Breiner's ability to recruit awesome FCS talent, partially driven by his link to Hershey High, where he played high school football. He was the guy who recruited their once-in-ageneration-robo-RB, RB Chase Edmonds from that area. Andrew Breiner was the offensive coordinator at Fordham when he got the call from Bob "Gump" May, his former coach at Hershey who had just begun a stint as an assistant at CD East. "Hey, Andrew, we have a running back," Breiner recalls May saying. "I think he's really good." Breiner, now in his first season as Fordham's head coach, waited a few days and looked at the film. He saw the ability, the vision and the power that have made Edmonds such a special back at the FCS level. But he also saw enough to understand why the big schools might have been scared off. "There were clips on his junior tape, where he did get caught from behind by opponents," Breiner said. "If you're a college coach and you see it, it could be cause for concern. For me, having local knowledge, having played all these teams, I also saw a play where he outran Susquehanna Twp. in the red zone. If he can outrun an angle from Township, he can run. So we offered him a scholarship." He's also the guy who talked to QB Kevin Anderson, convincing him that transferring from Marshall was the best move for his football and academic career. "So I reached out to all the Ivy League and Patriot League schools, sent out my release from my scholarship — the compliance at Marshall, I gave them a list and they sent it to other compliance members at the schools. Within the first week, I reached out to Fordham as a follow-up because they had emailed me. I got on the phone with Coach Breiner, he was the OC and quarterbacks coach, and we talked for about an hour and a half and then he invited me up for that weekend to visit. I came on the visit and it was great because my family is very religious. My grandma is die-hard Catholic, I went to a Catholic middle school. I came up here and really liked the atmosphere. Where I was at in my life spiritually and being down in confidence, it felt like everything was gravitating me towards coming here. I was in a situation where [Marshall] didn’t want me really. I wasn’t playing well. 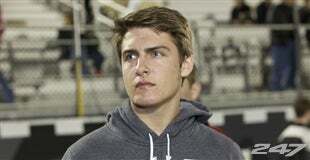 "So then you have a coach like Coach Breiner tell you that they had four senior quarterbacks. That I would have to come in a year, learn the system, sit out and then they would build the program around me. That’s what he told me and literally that’s what has happened and it’s the best feeling ever. To have people back you and give you that kind of confidence in a big city, great academics, great religious atmosphere, is everything I wanted. I committed a week after. I was still moving stuff from West Virginia back to Florida. I didn’t go on any other visits, talk to anybody else. It was a perfect situation." Almost as soon as the 2015 football season ended, after another FCS Playoff appearance against Chattanooga, Moorhead had an opportunity on Penn State's staff that he couldn't refuse, leaving a void at Fordham's head coach position. At a time that could have been racked with uncertainty, Rams athletic director David Roach moved with lightning speed to ensure Breiner would be the next head coach. Though nobody has said so publicly, it may, too, have been a big reason that Chase Edmonds chose to continue his collegiate football career at Fordham rather than attempt to transfer elsewhere, something Edmonds publicly opined about on Twitter before deciding to stay. Breiner entered a head coaching gig where the expectations were for Patriot League championships and FCS playoff appearances - something new on Rose Hill. Breiner is also very familiar with the Lehigh Valley - he has a close connection here. "Yeah, both of my parents grew up in Easton," Breiner told Keith Groller of The Morning Call back in August. "My dad grew up on the south side; my mom in Palmer Township. My dad played football at Notre Dame, right across the golf course here at Green Pond. My late grandfather's dental practice was on College Hill, Dr. Bud Miller, and he served as Easton High's dentist for many years. So, sure, I know that Bethlehem Skateaway over there; I've driven past that dozens of times. I will go see my grandmother over at the Country Meadows nursing home and I'm going to make sure I get a couple of Jimmy's Hot Dogs before I leave to go back." It's one thing to be a Pennsylvanian through and through, and it's another to be a great recruiter, but it means nothing if you don't win football games. So far for Fordham this year, Breiner has delivered, giving his Rams a 5-2 record and a perfect 2-0 record in conference play. As it happens, Fordham has played four common opponents to Lehigh, and had the exact same record as the Mountain Hawks against them - beating Penn, Yale and Georgetown, and losing to Monmouth. Almost as expected, Edmonds leads the FCS in total rushing yards - and is beating his closest competition, a potential NFL draft pick from North Carolina A&T, RB Tarik Cohen, by more than 200 yards (1,244 to 1,023). As a team, Fordham is No. 7 in the country in total rushing yards, almost all of it on the back of Edmonds. When teams try to pack the box to stop Edmonds, that's when Anderson shines, picking apart coverage. Teams try so hard to slow down Edmonds that they forget that Anderson, with 16 passing TDs, is a formidable weapon in his own right. It's seems like it's going to be a shootout this weekend at Murray Goodman, and let's hope the scoreboard has enough lights to handle it. Usually the game notes aren't the source of much news, however this weekend, they are. That's because the word "or" was added to the names of who is the starting QB, senior QB Nick Shafnisky OR sophomore QB Brad Mayes. It's becoming a popular weekly game among the Lehigh faithful - Shaf, or Mayes? If Shaf is healthy, how can you not start him? But Mayes had 3 TDs and 0 INTs last week va. Holy Cross - how can you not start him? Like the last three or four weeks, much will hinge on the condition of Shaf's leg, which didn't seem like it was 100% last week. This week the coaching staff has been mum on Shaf's availability, though he did make the trip to Worcester last week and held on extra points (in fact, converting a 2 point conversion pass to junior DE Tyler Cavenas). As a fan, what I'd love to see is the first offensive play of the game have both Shaf and Mayes out there for a play or two. But it's much more likely that we won't know until Lehigh's first offensive drive who the starting QB will be, no matter how much Matt Markus or I try to read the signs. The good news is, aside from trying to figure out how to give the ball to two different QBs, Lehigh emerged from the Holy Cross game relatively healthy. Senior OL Tim O'Hara, who suffered the scary injury vs. Georgetown, played most of last week and seems to have no lingering effects. He should be ready to go. By this weekend, the cold snap and dreary, rainy weather that has plagued the Valley this weekend will be a thing of the past and means - against all odds - that Murray Goodman may once again be bathed with fantastic weather for this time of year. A high of 71, with periods of clouds and sunshine? Lehigh fans will take that and a bag od chips. One thing that might play into the outcome is the fact that it's supposed to be a bit breezy, with 10-20 mph winds. With Murray Goodman's famous swirling winds, it may be an important factor. On Saturday, Lehigh will compete in the Game Day Recycling Challenge, a nationwide competition between universities to reduce waste at football games. The challenge is to educate fans about waste reduction, and weigh all trash and recycling from one game. Lehigh will implement its waste production program and will track and report waste reduction and disposal data. At the Rust Family Pavilion, it is "Lineman Day" where football alumni who were linemen are celebrated by double the food being served. (Think I'm joking?) As always, all Lehigh football alumni are welcome to the Pavillion, and come hungry. 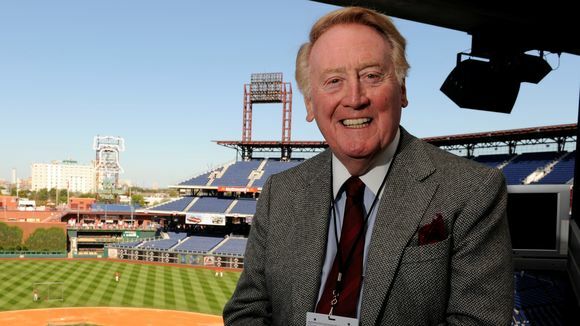 This season, a Los Angeles (and Fordham) legend stepped down from the mic, Vin Scully. Scully was the rare broadcaster that made even opposing fans treasure him, with his insightful comments, never nasty, and always elevated. His calls of games had the air of bedtime stories, lulling children to slumber and adults to keep listening. Like many, I was a late adopter of Vin Scully, but he feels irreplaceable. If someone comes close - preferably another WFUV or WLVR graduate - that would make me smile. In this week's game notes, I noticed something: that this weekend's game is brought to you by Yianna's Taverna, a fancy Greek Taverna that is not very far from Murray Goodman stadium. I've actually been there with my wife, and enjoyed their Greek Food. The atmosphere inside really stands out (even if it feels more like the Panathinakos/Olympiakos rivalry than the Lehigh/Lafayette Rivalry inside). 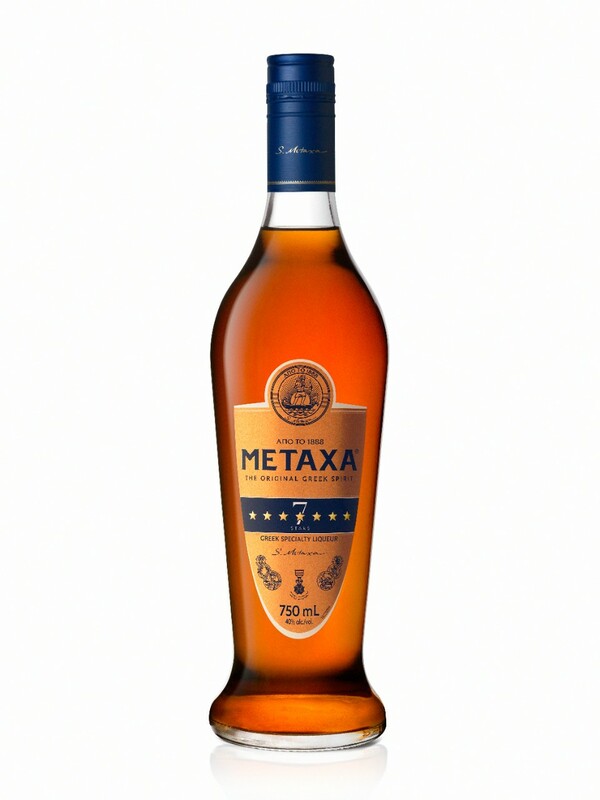 Googling around for my favorite Greek Brandy, Metaxa, I found a great one called "Three Times the Vine," which seems especially timely due to the fact that Vine will be discontinued by Twitter. What better way to celebrate Vine's demise by enjoying it 3 times? The first step is to make some chamomile tea, sweeten it, and cool it down. Then add 2 parts Metaxa, 1 part (or less) sweet Greek Samos wine, 1 part of that cooled-down tea, and 1 part lemon juice. Put that in a shaker, strain in a glass and float the sparkling wine on top. As always, Drinks of the Week have a place in responsible tailgates, but only if you behave yourself, don't get behind the wheel while impaired (or worse), and are over 21. Please do that. And leave plenty of time to sober up. Three Times the Vine isn't for the faint of heart.